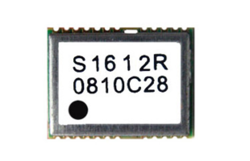 Our clients can avail from us a comprehensive range of highly sensitive GPS Modules. This range is robust in design and features a versatile GPS positioning system. The range we offer comprises of Patch GPS Antenna Module, SMD GPS Antenna Module and GPS Engine Board to name a few. GPS positioning system installed in this range is capable of quick, precise and stable position fixes. It is based on latest surface mount technology. This technology involves high level circuit indication that ensures superior performance in a compact and power saving manner. Our team of expert engineers integrates the GPS OEM modules solutions into client’s products. Fully embedded GPS external Antenna Module with RS232/USB/TTL outputs in magnetic mount weather proof casing. Custom wire length and output connectors can be provided. Cable length can be interested more than the conventional RF cable length as the output of module would be either RS232/USB/TTL. The advances are cost effectiveness and Shielding of GPS module as it will be away from main electronics. We manufacture, supply and export a qualitative range of Smart GPS Patch Antenna Module. This range offers multipath detection and suppression.The compact design and power saving performance of this range is a remarkable feature.This range is available at market leading prices. I2R Labs “RASTA-634R” is a highly integrated smart GPS module with a ceramic GPS patch antenna. The antenna is connected to the module via an LNA. The module is with 51 channel acquisition engine and 14 channel track engine, which be capable of receiving signals from up to 65 GPS satellites and transferring them into the precise position and timing information that can be read over either UART port or RS232 serial port. Small size and high-end GPS functionality are at low power consumption, Both of the LVTTL-level and RS232 signal interface are provided on the interface connector, supply voltage of 3.6V~6.0V is supported. The smart GPS antenna module is available as an off-the-shelf component, 100% tested. 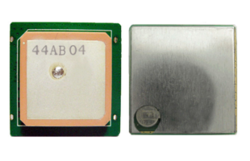 The smart GPS antenna module can be offered for OEM applications with the versatile adaptation in form and connection. Additionally, the antenna can be tuned to the final systems’ circumstances. I2R Labs “RASTA-622R” is a highly integrated smart GPS module with a ceramic GPS patch antenna. The antenna is connected to the module via an LNA. The module is with 51 channel acquisition engine and 14 channel track engine, which be capable of receiving signals from up to 65 GPS satellites and transferring them into the precise position and timing information that can be read over either UART port or RS232 serial port. Small size and high-end GPS functionality are at low power consumption, Both of the LVTTL-level and RS232 signal interface are provided on the interface connector, supply voltage of 3V~5.5V is supported. The compact 22mm x 22mm form factor allows it to be used in many applications. Its on-board antenna connector allows external connection of active antenna. Switching to external antenna is automatic when external antenna is applied. connected to the receiver via an LNA. The receiver is with 51 channel acquisition engine and 14 channel track engine, which be capable of receiving signals from up to 65 GPS satellites and transferring them into the precise position and timing information that can be read over USB port. 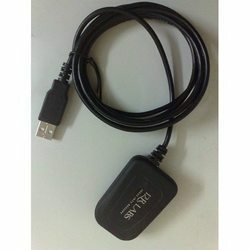 Small size and high-end GPS functionality are at low power consumptions, both the LVTTL-level and USB signal interface are provided on the interface connector. Supply voltage of 3.3V~6.0V is supported. The smart GPS antenna receiver is available as an off-the-shelf component, 100% tested. The smart GPS antenna receiver can be offered for OEM applications with the versatile adaptation in form and connection. Additionally, the antenna can be tuned to the final systems’ circumstances. Manufacturer (OEM) products. The receiver continuously tracks all satellites in view and provides accurate satellite positioning data. The RASTAMMCX- 610F is optimized for applications requiring good performance, low cost, and maximum flexibility; suitable for a wide range of OEM configurations including handhelds, asset tracking, marine and vehicle navigation products. Its 65 parallel channels provide fast satellite signal acquisition and short startup time. Acquisition sensitivity of –145dm and tracking sensitivity of –161dBm offers good navigation performance even in urban canyons having limited sky view. Satellite-based augmentation systems, such as WAASand EGNOS, are supported to yield improved accuracy. Users can modify the NMEA sentences and Binary code. 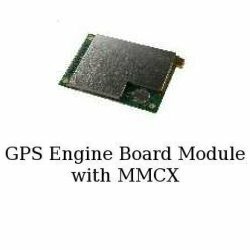 Looking for GPS Modules ?